Kinder Chocolate 150g - all time kids favorite chocolate! 12 bars with tender milk chocolate, made with simple ingredients like high-quality cocoa, real sugar, and a heart of visibly milky filling. Milk chocolate 40% (sugar, whole milk powder, cocoa butter, cocoa mass, emulsifier: lecithins (soy), flavouring: vanillin), sugar, skim milk powder, vegetable oil (palm*), anhydrous milkfat, emulsifier (lecithins) (soy), flavouring (vanillin). Total milk constituents: 33%. total cocoa solids: 13%. Kinder Chocolate 100g is the milk chocolate bar with chambers. Its very special milky taste with ..
Ferrero Kinder Choco Box 144g - you can enjoy Kinder Chocolate and Kinder Country within the Kind..
Kinder Chocolate is the milk chocolate bar with chambers. Its very special milky taste with the e..
Ferrero Kinder Chocolate 50g is the milk chocolate bar with chambers. 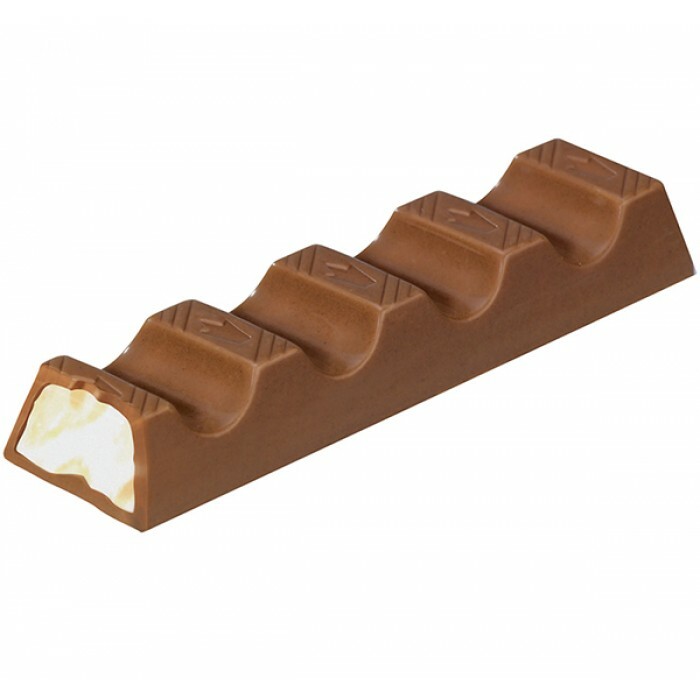 Its very special milky tast..
Ferrero Kinder Chocolate Maxi 21g is the kids favourite bar with special milky taste and exceptio..
Ferrero Kinder Chocolate Maxi 210g is the kids favourite bar with special milky taste and excepti..
Kinder Chocolate 100g - 8 milk chocolate bar with chambers. 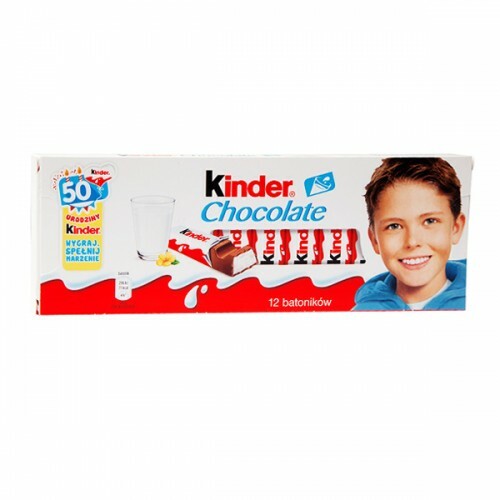 Its very special milky taste with the..
Kinder Chocolate 150g - all time kids favorite chocolate! 12 bars with tender milk chocolate, mad..